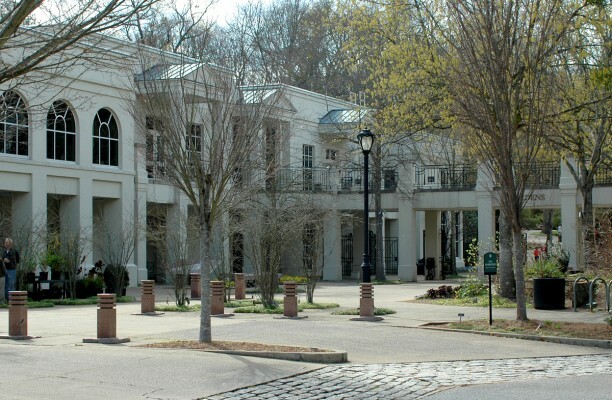 Before a major addition and renovation in 1988, the now beautiful entry plaza of the Botanical Gardens was a service drive, and the main entrance to the building faced the street. John Carraway had a vision for the new plaza addition that takes advantage of the views toward the gardens and anchors the building to the surrounding lawn. The bridge was inspired as not only an entry gate, but as a link from the upper level meeting rooms to the reflecting pool. From the upper level one can enjoy the upper terrace and the connection to the plaza and gardens.